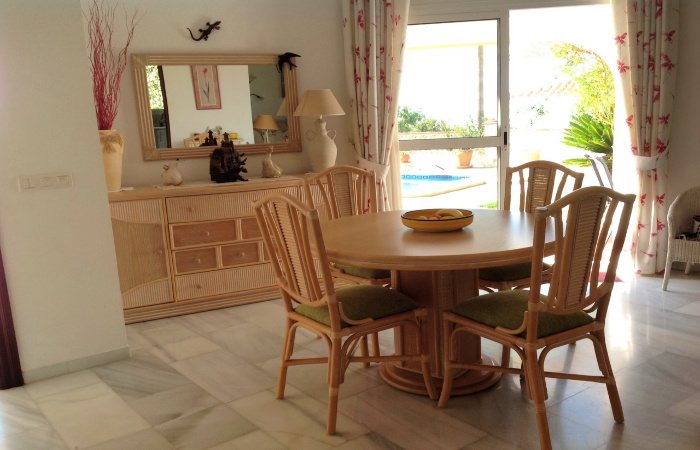 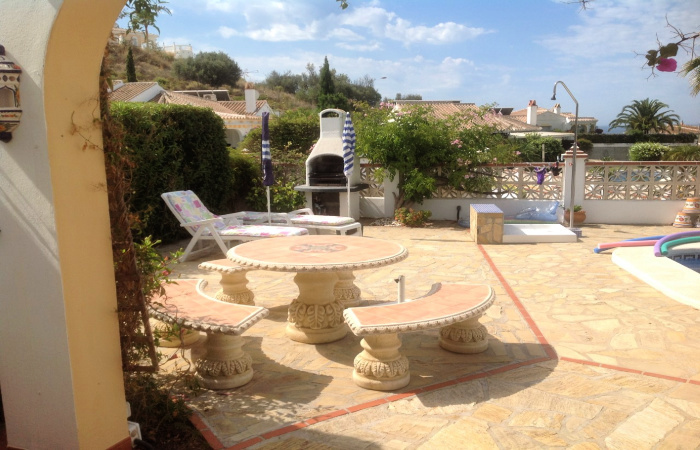 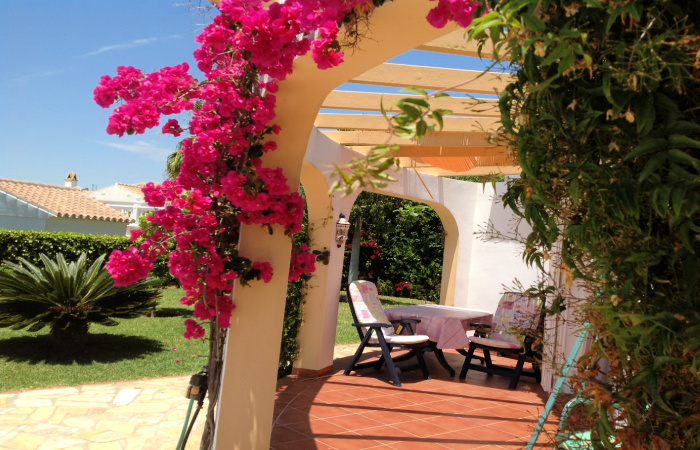 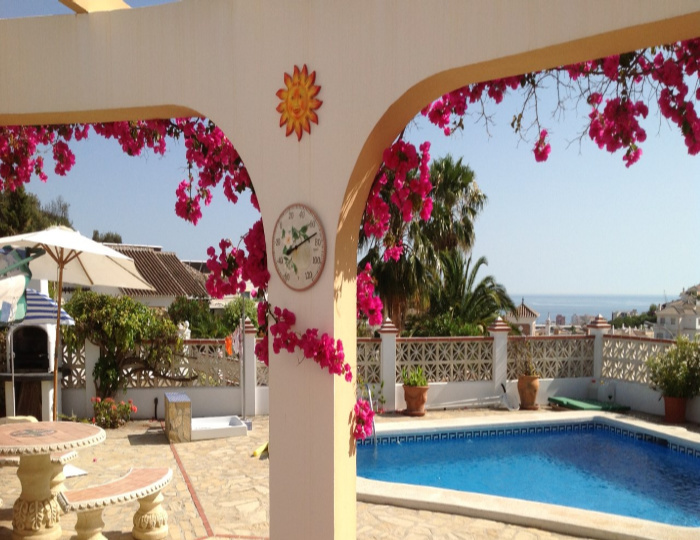 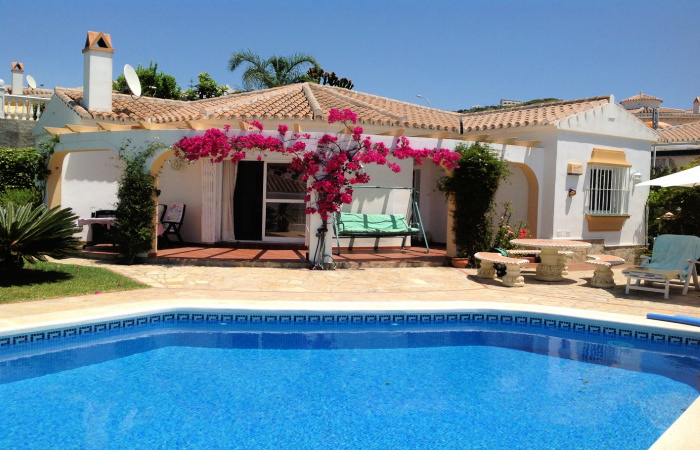 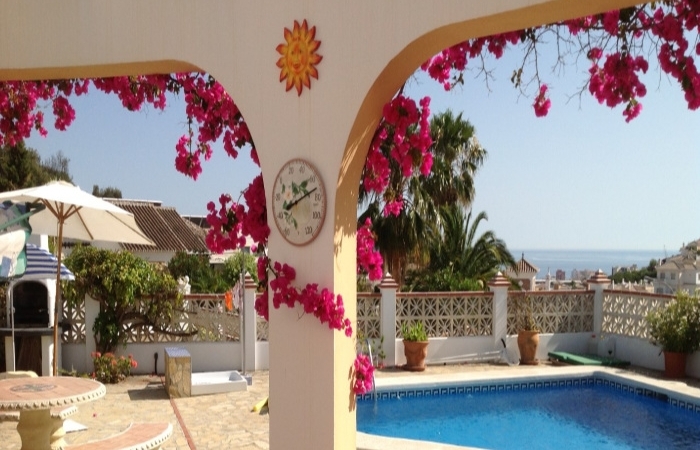 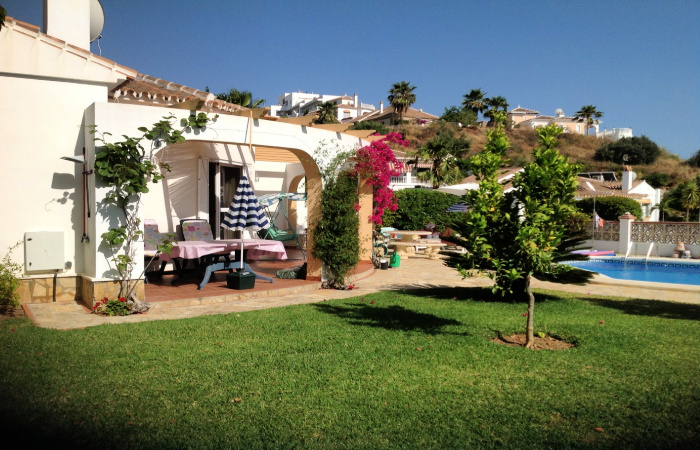 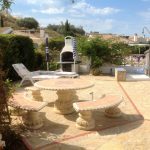 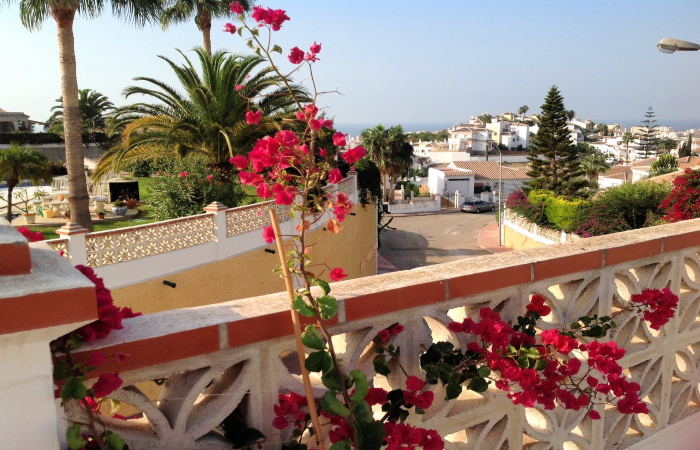 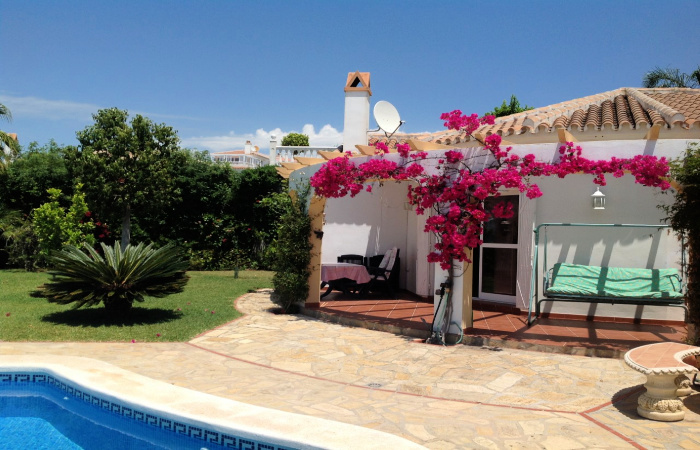 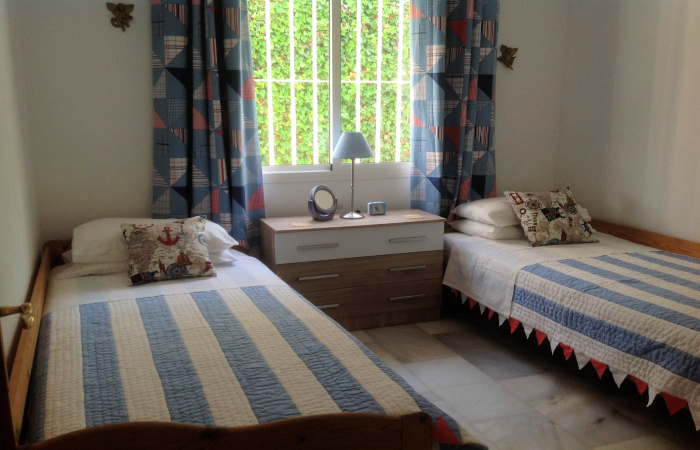 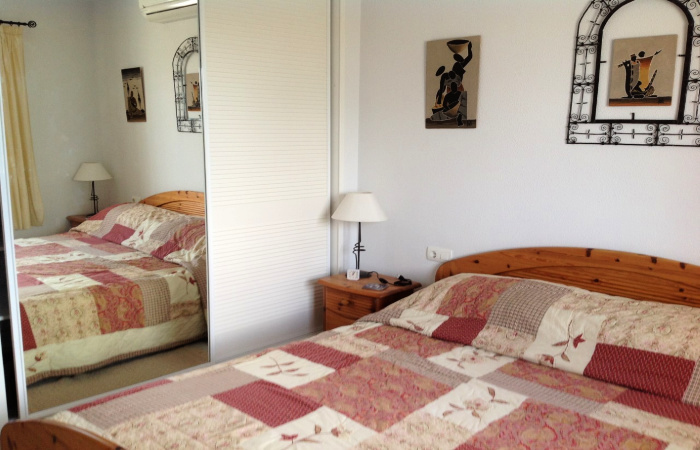 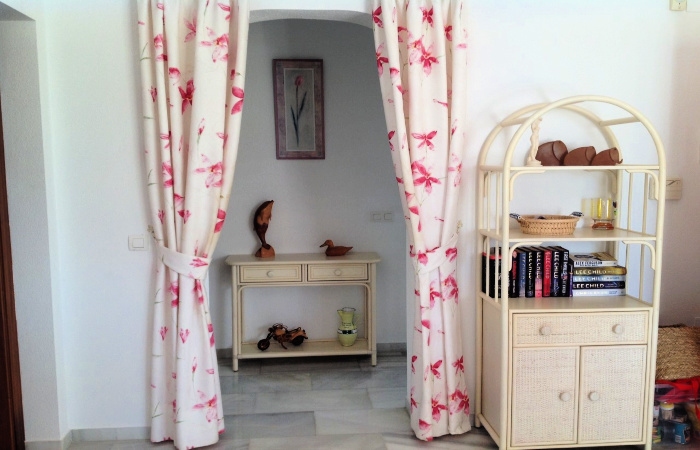 Villa Manzanatrago is a 2 Bedroom Villa located in the popular Torrox Park, Torrox Costa area. 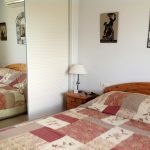 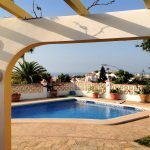 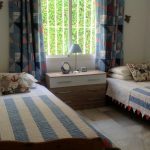 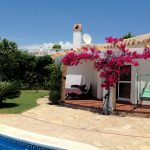 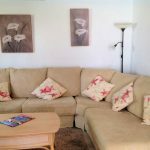 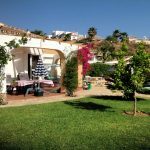 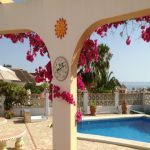 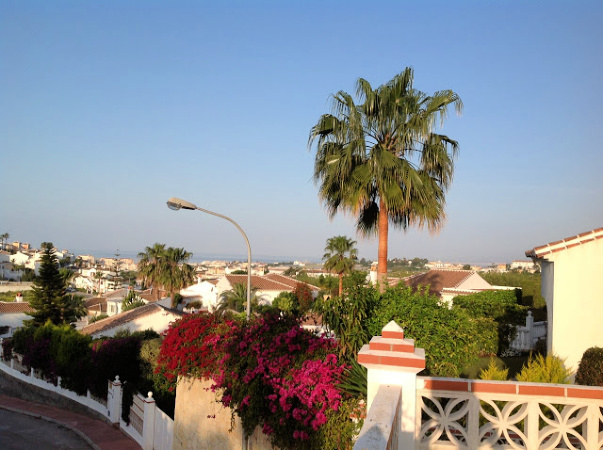 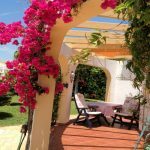 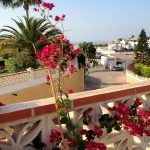 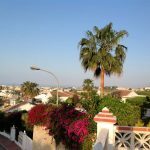 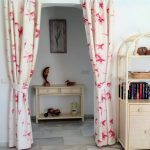 Just a 40 minute drive from Malaga airport, it is also on a bus route from Malaga Central to Torrox Costa then a short taxi ride to Torrox Park for those of you who do not wish to hire a car. 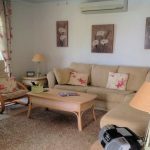 It is a fully air-conditioned Villa. 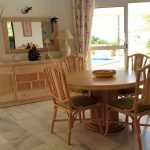 Kitchen: Fully fitted with Hob, Oven, microwave, Fridge/Freezer, Kettle and Toaster. 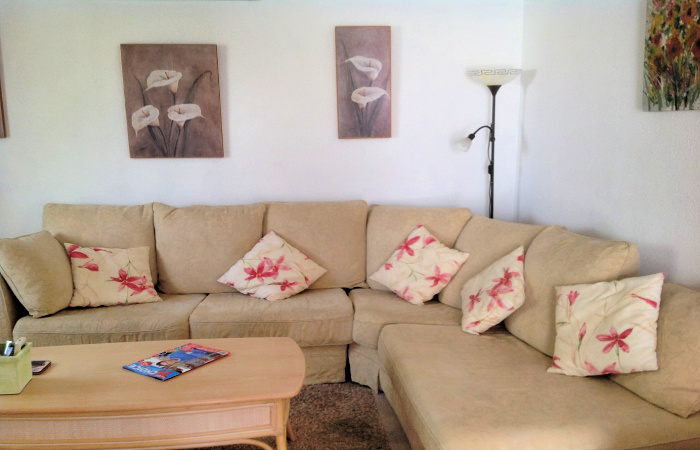 Lounge: A spacious comfortable lounge with English T.V. 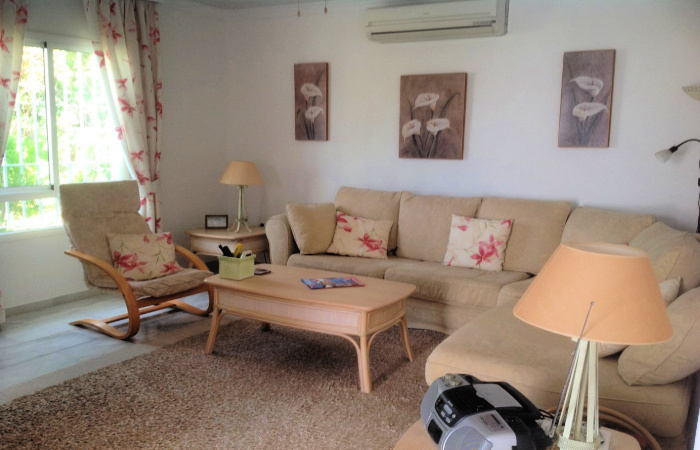 Dvd player and Cd player and also Wi-fi. 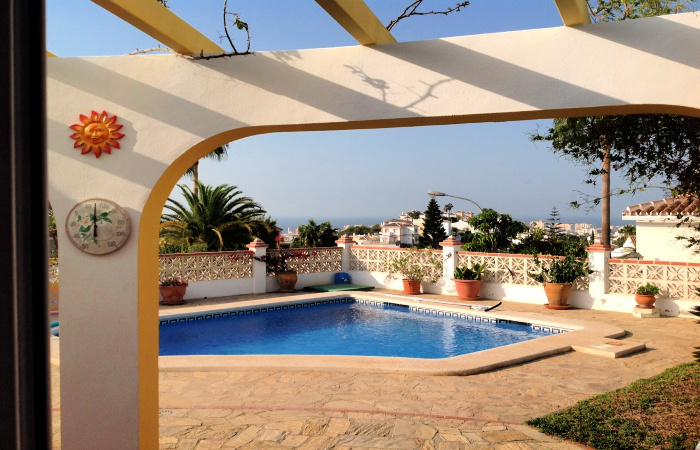 There is a private swimming pool, it is all one depth throughout.